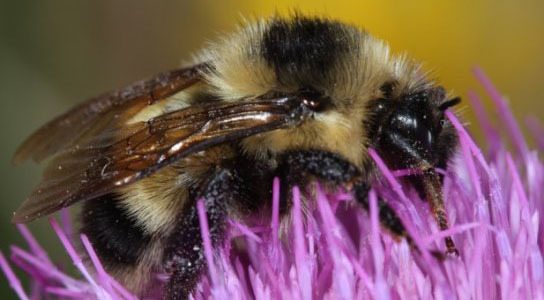 Researchers from University of California Riverside have rediscovered one of the rarest species of bumblebee in the United States; the Cockerell’s Bumblebee. This is exciting news as this species has not been seen in over 50 years. It was found in the White Mountains of south-central New Mexico last summer. It was a rare find since most bumblebees in the US are known from dozens to even thousands of specimens, but that’s not the case with this species. Another factor is that the area is not visited by entomologists very often and the species has also had a history of being ignored because they thought it was not actually a genuine species, but rather a regional color variant of another well-known species. So it’s part rarity and part mistaken identity. You might say they were stung by a false assumption. This might seem like a rare occurrence, finding a new species in this day and age, but it actually happens more often than you might think. Entomologists from UCR actually rediscover many “lost” insect species as well as discover entirely new species at the rate of several dozen every year. Now that it has been identified, they can find out if it is facing a serious threat of habitat loss or not. 1 Comment on "Rarest Bumblebee In US Found In New Mexico"
I thought this was pretty great and shared the news on my Twitter. Who would have thought, after 50 years, this little guy was still buzzing around?